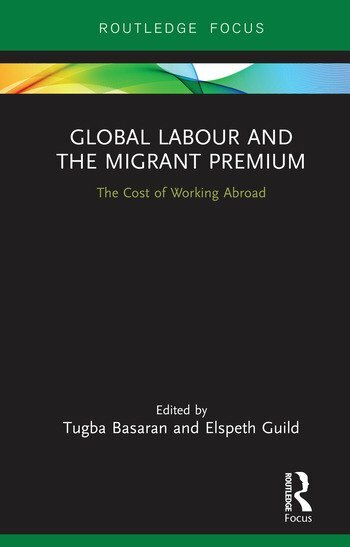 This book provides the first systematic account of the premium costs that migrants pay to live and work abroad. Reducing the costs of international labour migration, specifically worker-paid costs for low-skilled employment, has become an important item on the global agenda over the last years and is particularly pertinent for the UN’s Global Compact on Safe, Orderly and Regular Migration. Recruitment costs alone amount in most migration corridors to anywhere between one and ten months of foreign earnings and many migrants may well lose between one and two years of foreign earnings, if all costs are considered. This book is intended as a primer for evidence-based policy for reducing the costs of international labour mobility. The contributors include academics from law, economics and politics, but also authors from international organizations, non-governmental organizations, as well as the voices of migrants. The hope of the editors is that this small collection sets the basis for evidence-based policies that seek to reduce the costs of international migration. This book will be of interest to scholars and students of migration, globalization, law, sociology and international relations, as well as practitioners and policy makers. Tugba Basaran is Senior Research Fellow at the Centre for the Study of Global Human Movement, University of Cambridge, UK, and Visiting Researcher at Harvard Law School. Her publications include Security, Law and Borders: At the Limits of Liberties (Routledge, 2011) and International Political Sociology: Transversal Lines co-edited with Didier Bigo, Emmanuel P. Guittet and R. B. J. Walker (Routledge, 2016). Elspeth Guild is a Jean Monnet Professor ad personam in law at Queen Mary University of London, UK, and Radboud University, Netherlands. She regularly advises EU institutions on migration and asylum-related matters and has written studies for the European Parliament on the European dimension of the refugee crisis in 2016. Her publications include Security and Migration in the 21st Century (2009) and The Human Rights of Migrants in the 21st Century, co-edited with Stefanie Grant and Kees Groenendijk (Routledge, 2017).